Why is Cornwall a place of literary adventure? From its rugged moorland and ruined mining past to its high winding hedgerows and wreckers’ shores, Cornwall is so full of character as to be a character itself in the novels it inspires: contradictory and colourful – as well as mysterious and moody. Perhaps it’s because as a reader you feel as if you’ve arrived at the furthest tip of possibility and that time somehow stops at Land’s End. That stories set in Cornwall somehow stretch along a coastline that runs on forever; secrets tangled in old rope and seaweed, and stashed in caves guarded by the tide; where the weather defines the twists and turns of a plot. Literary Cornwall has a history that dates back to the myths of King Arthur and Tintagel. The story I love is Tristan and Iseult retold by Rosemary Sutcliffe and illustrated by Victor Ambrus. How valiant Tristan is sent on a mission to find a queen for his uncle, the King of Cornwall, but falls in love instead with a flame-haired Irish princess, Iseult – with heartbreaking consequences. If you go to Tintagel on the north coast and stand with your eyes closed to the Atlantic wind you can almost feel the presence of some mythical force. My bookish Cornwall is as timeless and well-thumbed as the novels on a holiday cottage bookshelf. There’s a reason why Enid Blyton’s Famous Five are still sleuthing today, or The Island of Adventure works even now for children: its heroes Jack, Philip, Dinah and Lucy-Ann at Craggy-tops unearthing sinister goings-on on the mysterious Isle of Gloom when they stumble into an abandoned copper mine and tunnels under the sea. On a wet windy day stuck indoors, there’s nothing better than the page-turning excitement of imagining treacherous tides, coves and treasure. Another beloved modern classic for children set in Cornwall is Susan Cooper’s The Dark is Rising sequence. An ancient manuscript is found in the cottage where the Drew children are staying that leads them into a battle between the Light and the Dark, and a quest for the Things of Power with all the danger, magic and mystery that goes with that. The fictional village of Trewissick in the story is likely to have been inspired by Mevagissey, south of St Austell where the author used to stay. There’s a local headland to the north called Penare Point which sounds a little like Kemare, and another headland to the south, called Chapel Point. Darkness and light pervade all Cornish stories and especially the novels of Daphne Du Maurier, bridging the gap between childhood and adult reading. I discovered Du Maurier’s novels as a teenager and then again in my twenties while on honeymoon touring Cornwall in an unreliable TR5. We arrived in St Mawes just as the afternoon light was fading and stumbled upon the Tresanton Hotel, long before it was transformed by the Polizzis. It was a time-travelling moment – the hotel had a dusty elegance with faded chintz bedrooms, including a small round box on the bedside tables that contained two digestive biscuits. 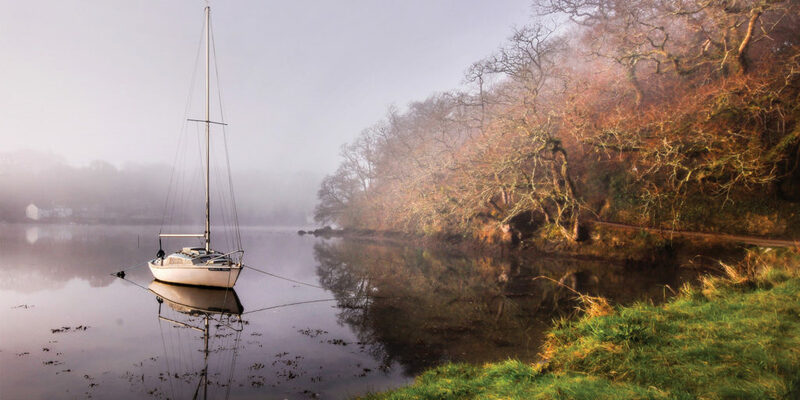 It was April, cold and sunny, and in that moment I stepped into Daphne Du Maurier’s stout shoes and began dreaming of mysterious creeks, wreckers’ coves, bleak moors and gothic mansions. As a teen, I read Frenchman’s Creek first – a swashbuckling adventure with romanticised characters in which the writing is dreamy and languid. A fed-up and rebellious Lady Dona St Columb visits Navron, her husband’s remote estate, where she finds evidence that the property is being used by a notorious French pirate who has been prowling the coast. 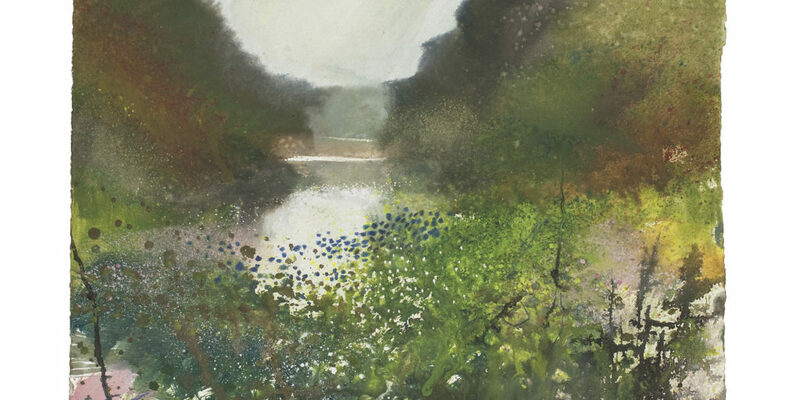 Exploring the sleepy, hidden creeks around Helford, she discovers that the Jean-Benoit Aubéry, is an altogether more exciting man than her husband. But perhaps my favourite Du Maurier story is The King’s General; the first novel Du Maurier wrote while living at Menabilly, the real-life setting for her most famous novel, Rebecca, where it’s called ‘Manderley’. It tells of the enduring love between Honor Harris who is 18 when she first meets proud, reckless and captivating Richard Grenvile. Following a riding accident, Honor is reconciled to a life of disability on her own. As the English Civil war is waged, Richard rises through the ranks of the army. Years pass, until Sir Richard, now as a general serving King Charles I, finds her. Finally, they share their passion in the ruins of her family’s great estate on the storm-tossed Cornish coast. That estate exists: Boconnoc, which lies three miles east of Lostwithiel and can trace its history back to the Normans. It played a significant role in the Civil War – as recounted in the book – and nowadays Boconnoc House and its surrounding estate is one of the most beautiful locations in Cornwall. Other Cornish adventures later in my life have included reading all 12 Poldark novels by Winston Graham in succession on a train while commuting from Winchester to work at Penguin Books, and then Harper Collins in London. The series is now immortalised for television, but nothing compares to the detail of the stories. Romance, intrigue, betrayal, and one of the most heart-breaking love triangles in modern fiction ensues as Ross falls in love with the high-spirited Demelza, and tries to build a better world while fighting his arch-enemy, the ruthless financier, George Warleggan. The novels were set especially in and near Perranporth where Graham lived for more than three decades. And now, 25 years on, my own recently published first novel, One Silver Summer, was inspired by long holidays with my husband and children in and around the Roseland. I wrote it over a two-year period – much of it at Kerbenetty Cottage in Portloe looking out over the harbour. The coastal paths that my hero and heroine tread are those between Portloe and Carne, and Pendower, beaches, with a sharp diversion up the wooded valley towards Melinsey Mill. Trist House, my grand estate, is a place of fiction, but I admit to borrowing the name from a beautiful old rectory in Veryan. Much ‘essential’ writing time, and most of the edits, was spent ensconced by a fire or on the terraces of The Nare and Lugger hotels. Thinking time was spent walking the dog on Towan beach in all weathers; watching horses being exercised close to the coast path near Rosteague House. 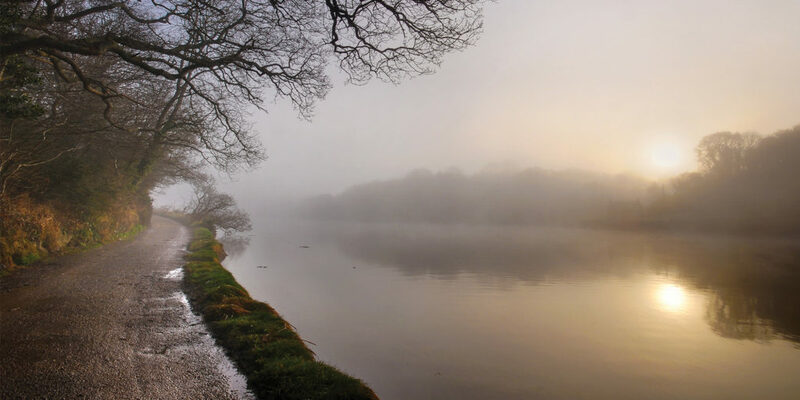 Wherever we turn in Cornwall, we are fortunate to be surrounded by a hugely evocative landscape; one that has inspired many a great author and poet as the perfect setting to stage their adventures, immortalising it forever on the page. As we always say, nothing beats getting out to explore the magic of Cornwall firsthand, so we’ve suggested a few more locations to visit. Who knows, you may even be inspired to put pen to paper yourself. This grand country house by the sea stakes a good claim to the inspiration behind Toad Hall, when Kenneth Grahame stayed in the area with friend and fellow author, Arthur Quiller-Couch. An old coaching inn and reputed smugglers’ haunt on Bodmin Moor, inspiring Du Maurier’s classic novel. Rosamunde Pilcher’s 1987 classic The Shell Seekers has sold over five million copies to date. Locations used in the 2006 TV adaptation include Port Isaac, St Michael’s Mount, Lamorna and Prideaux Place in Padstow. This area is Betjeman country, inspiring several of his greatest works. Visit Betjeman’s final resting place, in the grounds of St Enodoc Church, a beautiful setting nestled in the dunes above the bay. Author Patrick Gale lives near Land’s End on a cattle farm and many of his novels are set in the surrounding landscape. Notes from an Exhibition follows the colourful life of an artist from Penzance, while The Cat Sanctuary places some of the action on Bodmin Moor. 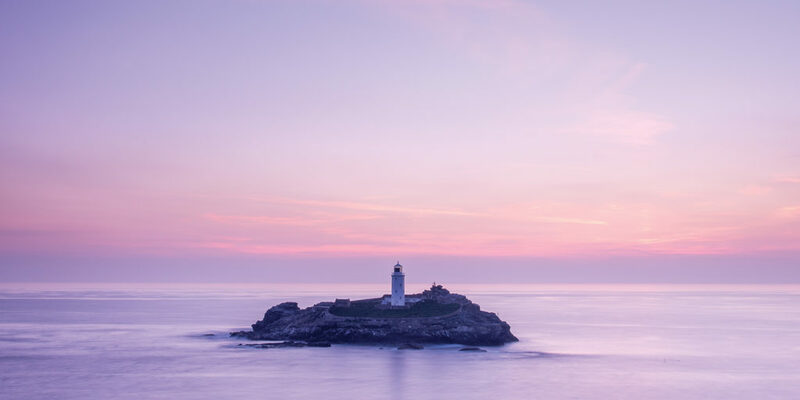 The iconic Godrevy lighthouse (beautifully captured by photographer Carla Regler) inspired Virginia Woolf’s modern classic, To the Lighthouse, frequently cited one of the greatest English-language novels of all time. Although inspired by her family’s visits to St Ives, the fictional lighthouse in Woolf’s story is relocated to the Isle of Skye, off the coast of Scotland. "Darkness and light pervade all Cornish stories and especially the novels of Daphne Du Maurier..."